Horror Hospital 3: Scary Creepy Walking Deads is a unique horror adventure game from Latest Games 2018. In a haunted hospital which contains paranormal activities, it is very difficult to survive if your nerves is not hard as steel. You can’t determine who is angel who is devil. Diseased patients became scary monsters, zombies. They killed and ate all the doctors for few hours and that was a real terrible massacre in the house of pain. Government decided to call secret agent called Liquidator – irreplaceable guy when you need to clear that horror house out. Now you play as the liquidator guy and your mission is to kill all zombie monsters and escape the abandoned horror hospital and stay alive. In the second story, young girl couldn’t get rid of nightmares and curiosity. There is only way to get rid of this hell which threaten her mental health. Of course young man won’t leave alone the girl and our story continues from where it left. Unravel an interesting quests and puzzles, step over many levels of horror atmosphere. The game features extraordinary atmosphere, nervous scenario and blood-curdling flow. If you get stuck in the game, check out the video walkthrough and gameplay for the game. 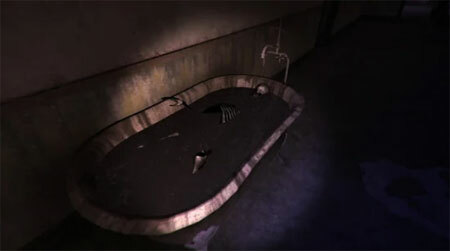 This entry was posted in Android Games, iOS Games, Mobile Games, Walkthrough and tagged Horror Hospital 3: Scary Creepy Walking Deads Cheats, Horror Hospital 3: Scary Creepy Walking Deads Cutscenes, Horror Hospital 3: Scary Creepy Walking Deads Endings, Horror Hospital 3: Scary Creepy Walking Deads Game, Horror Hospital 3: Scary Creepy Walking Deads Gameplay, Horror Hospital 3: Scary Creepy Walking Deads Guide, Horror Hospital 3: Scary Creepy Walking Deads Hints, Horror Hospital 3: Scary Creepy Walking Deads Jumpscares, Horror Hospital 3: Scary Creepy Walking Deads Review, Horror Hospital 3: Scary Creepy Walking Deads Solutions, Horror Hospital 3: Scary Creepy Walking Deads Strategy, Horror Hospital 3: Scary Creepy Walking Deads Tips, Horror Hospital 3: Scary Creepy Walking Deads Walkthrough by Marvin. Bookmark the permalink.